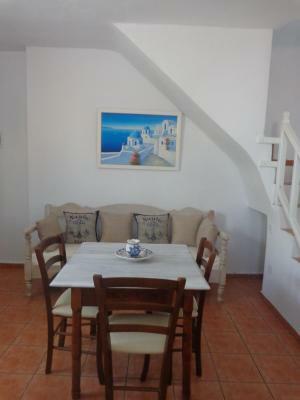 Lock in a great price for Langas Villas – rated 9.3 by recent guests! 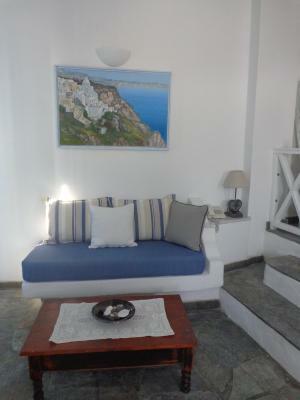 The accommodation is well located in Imerovigli. 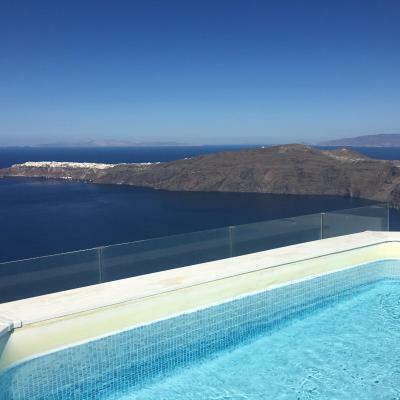 Although we stayed in the village villa, we were able to access the pool area with a stunning view of the caldera and a small pool. The owner provided us with a map and orange juice on arrival with tips and recommendations on where to go. He even made a restaurant booking for us. 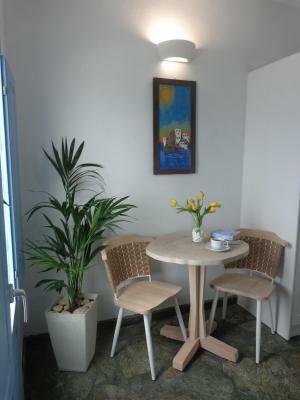 The apartment has a private balcony where you could sit and watch the sunrise (you will need to visit the nearby pool area for the sunset view of the caldera). We opted for the €12 per person shuttle bus on the way back and the owner was kind enough to bring our bags and collect us from Fira on the way to the port which saved us a bit of time trekking back up to Imerovigli to collect our bags. If you’re seeking authentic Greek hospitality you will not be disappointed with Langas Village & Nikos’s family owned business! He & his family love what they do & it shows in EVERYTHING they do! We were so happy to have found them! 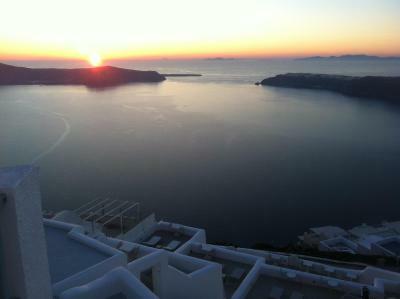 (Added bonus —the rooms offer breathtaking views so you can skip the crowds at Oia and relax on your own patio or the rooftop pool for the sunset show) Oia is worth the day trip—but the sunset—leave before it starts! 🤗 I will DEFINITELY return!! Felt like I was visiting family rather than staying in a hotel! ❤️ The room was modern enough & the bathroom was sufficiently sized for the 3 of us! 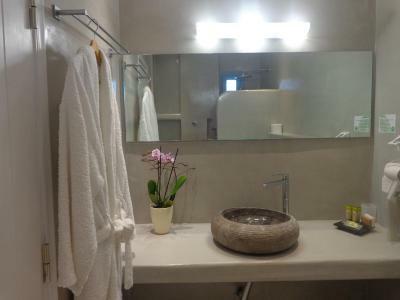 (Sorry I didn’t take pics but I’m usually picky about accommodations & Langas EXCEEDED them!) **dine at Mezzo’s—BEST lamb I’ve ever tasted!! 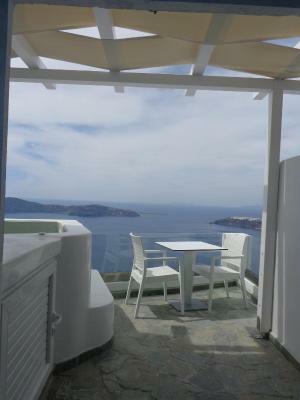 Wonderful location on the top of Imerovigli with great view on the caldera - beautiful pool on the rooftop! 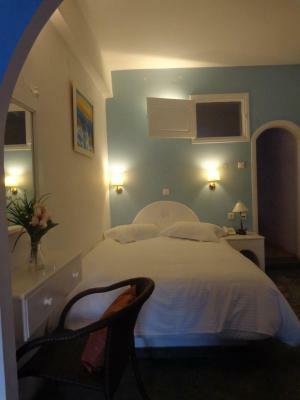 The room is nicely furnished and very clean. 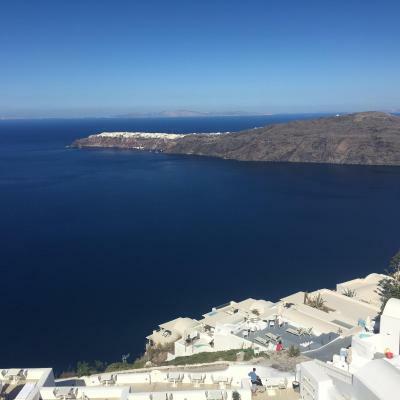 The hosts are friendly, professional, and will offer invaluable tips and suggestions with a smile - as well as some nice lessons on the history of Santorini! Breakfast is magnificent, wifi connection and transit from airport flawless. 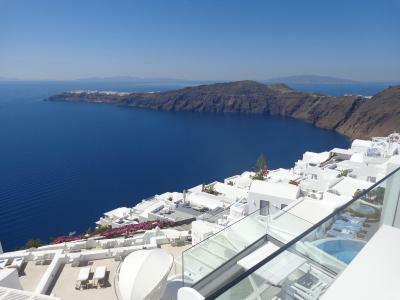 Let's face it, there are tons of villas with excellent views of the caldera. 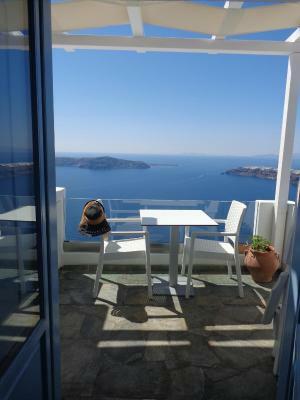 We even stayed at 2other hotels while in Santorini. 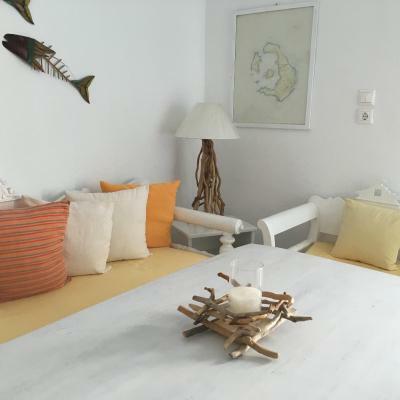 Langas Villas was the highlight of our stay because Nikolas and Anna took care of us like family. Our kids love Niko, he was funny and played with them. Their son Jason was very helpful too.. We had the village view villa, it is a short walk from main villa but it was a cute and a full equipped villa. Had breakfast in rooftop terrace and it was excellent! Wish we stayed here longer, we even considering cancelling our other hotel because we liked it here so much and honestly views aside, for hospitality..the other hotels didn't compare to Langas Villas..
Amazing from start to finish! From the delicious homemade breakfast served in your room by the one and only Niko, to personalized service by the entire family! Jason (Nicks son), went above and beyond to give recommendations on the best places around the island. He arranged our ATV rental (literally right to our door). 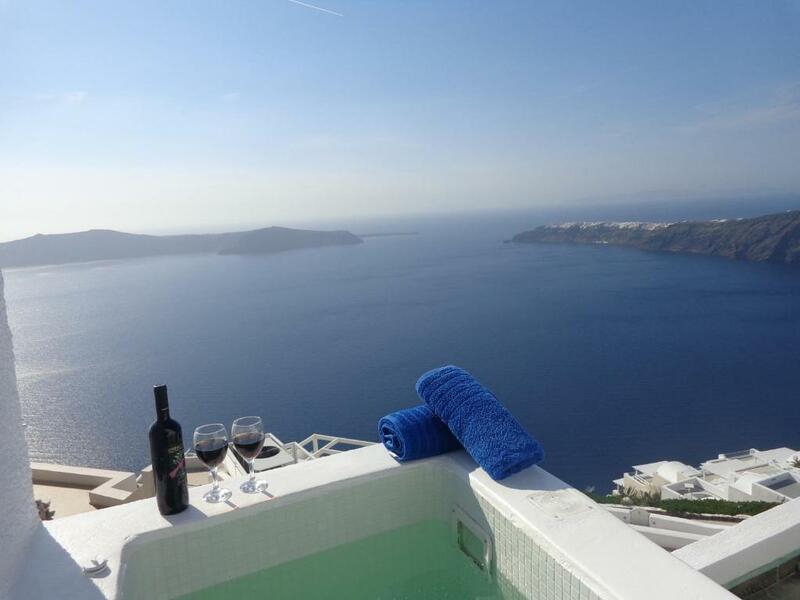 We had the Superior Suite with the best views, jacuzzi tub and perfect interior facility. Breakfast on the balcony every morning. Also enjoyed the rooftop pool right above our room. Everything felt super private even during the busy month of August. NO VIEW CAN BEAT THIS VIEW OR SERVICE. NOWHERE ELSE. Believe me, I've been around and this is place is a gem top to bottom. Literally everything. 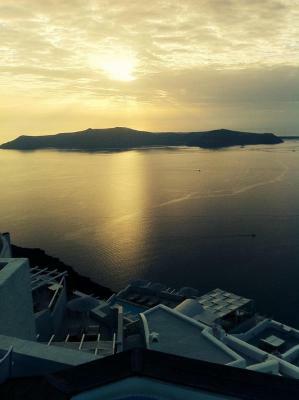 The view is the best on the island. Location great. Quiet area but easy to get to Fira. The staff was amazing and their restaurant recommendations were amazing. Will definitely be back. Family owned. Wonderful story and wonderful people. Great recommendations and service! Beautiful property. Perfect location. The care received by Nick. He guided us where to go, what places to try, and warned us how much to pay for taxis and food and everything. Nick and Anna are the owners and they are literally available 24/7 and extremely friendly. Nothing is too much trouble. This was the perfect room for our family of three. The room had a beautiful table to eat breakfast on or we could eat on the balcony with the wonderful view. Nik and Ana and their sons were charming and helpful. Everything was super clean. The staff was excellent and super nice! They made sure we had everything we needed during our stay. 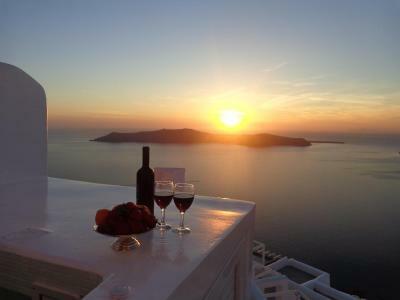 The view was breathtaking and the breakfast was delicious, which was brought to the room every morning! 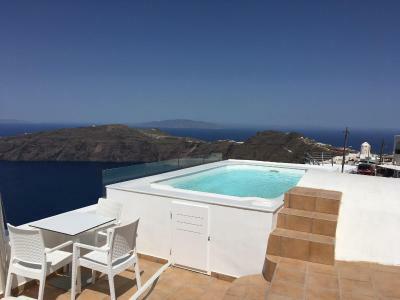 One of our top picks in Imerovigli.Featuring a rooftop terrace with a pool and lounge chairs, the Langas Villas offers far-reaching views of the caldera, neighboring islands and sunset. 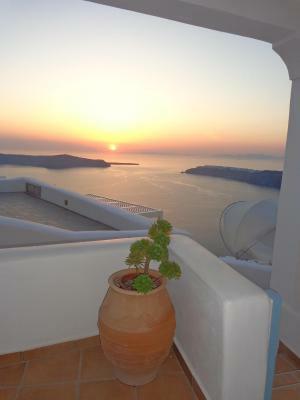 The property is in picturesque Imerovigli, known as the Balcony of Santorini. 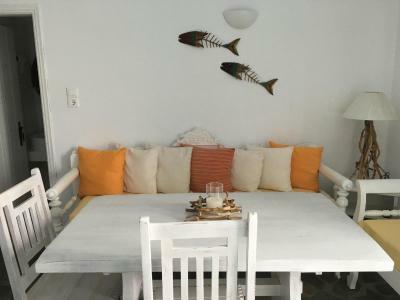 With a private balcony, the spacious, Cycladic-style apartments and suites have a kitchen, lounge and dining room, and private bathroom. 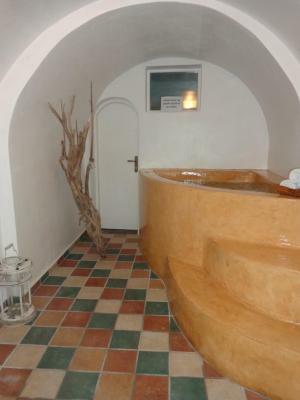 Each is air-conditioned and the suites include a spa tub. 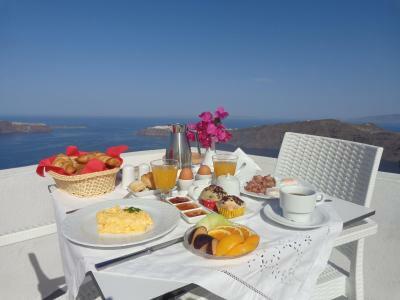 A choice of breakfast items is served on the private balcony or rooftop terrace. 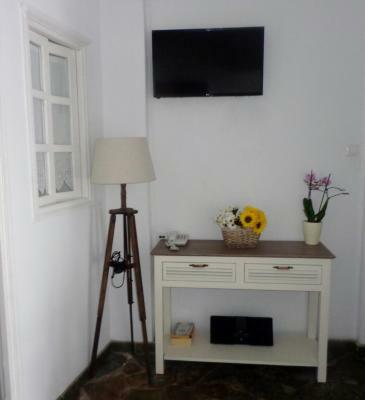 There is free Wi-Fi throughout and laptops can be borrowed. 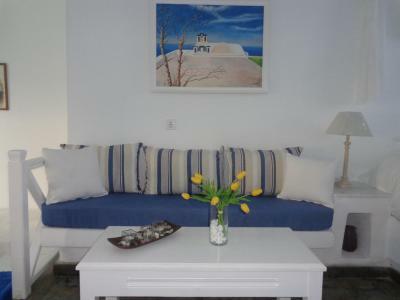 Beach towels are available and the front desk can organize boat and bus tours and car rental. A guest parking lot is located a few feet from Langas Villas, which is easily accessible to people with limited mobility. 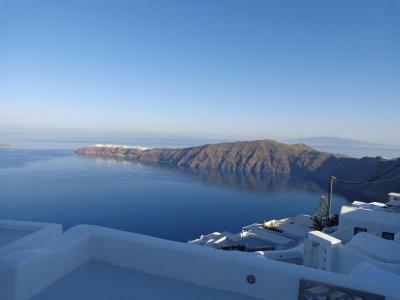 The center of Fira is just over 1 miles away. 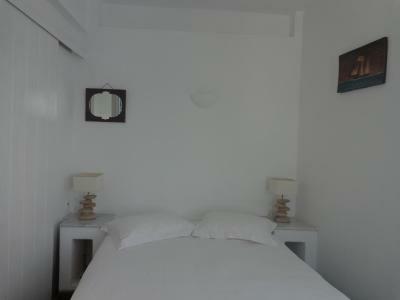 When would you like to stay at Langas Villas? 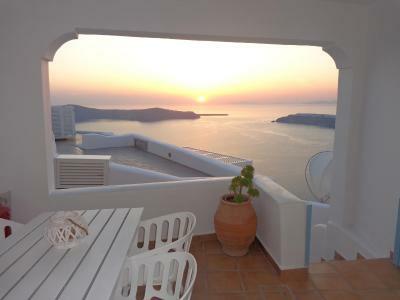 Located on the lower level, featuring a shaded private balcony with Caldera views. 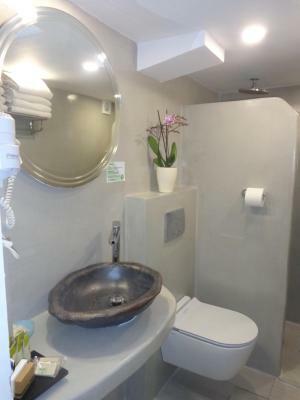 Includes a private kitchen with sitting area. Traditionally decorated with built-in beds and some antiques furniture, this apartment consists of a separate bedroom, along with an open plan seating area with either 2 single beds or 1 double. 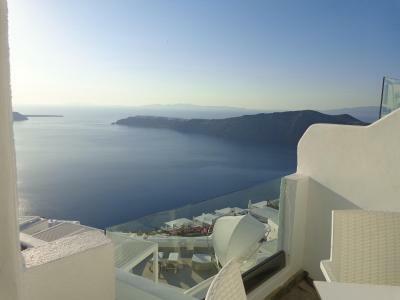 It opens out to a private balcony enjoying panoramic views of the Caldera. 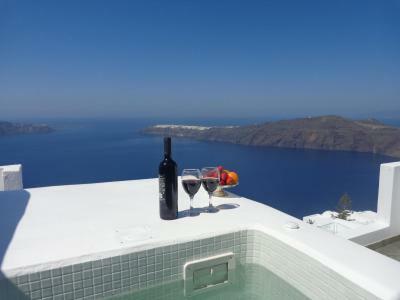 Located on the highest point of the caldera, this open-plan apartment features romantic decor and a private, secluded balcony with private heated hot tub, unobstructed views of nearby islands, caldera and sunset. A Nespresso coffee machine and capsules are offered free of charge. Please note that children cannot be accommodated at this room type. 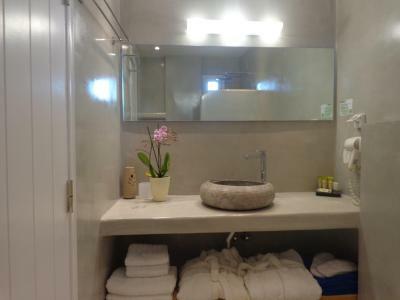 Featuring a heated, indoor hot tub, this suite has a private balcony and private entrance. It includes an open-plan lounge and dining area. A Nespresso coffee machine and capsules are offered free of charge. 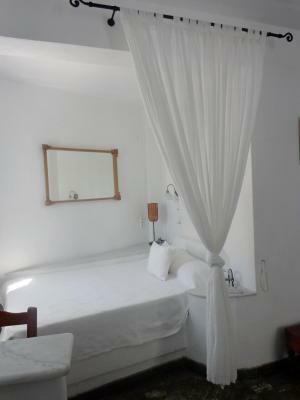 Please note that this room type can accommodate an extra guest at a surcharge (see Hotel Policies). 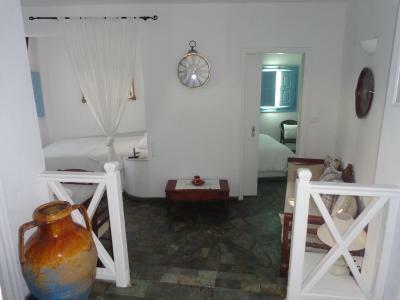 This villa is 50 yards from the main entrance. 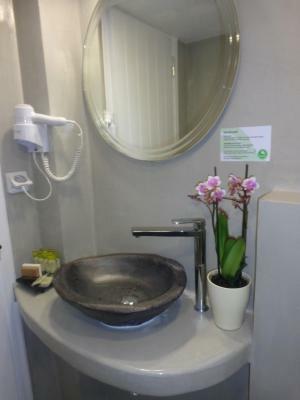 The ground floor consists of a kitchenette, bathroom, dining area/lounge and 2 single beds. 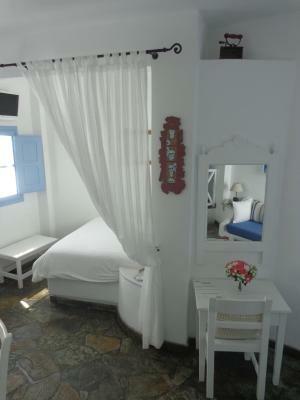 The 1st floor can be accessible by stairs where there is a private bedroom with double bed opening to a private balcony with village views. 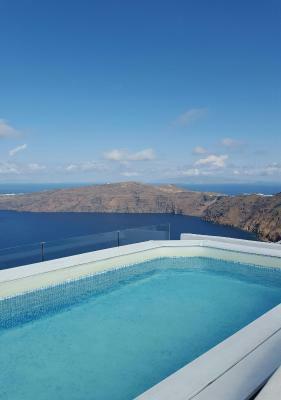 Langas Villas is a small boutique hotel which is located on the very top of the caldera, in the village of Imerovigli, hence there are no steps down the hill and our location is perfect for senior guests and families. 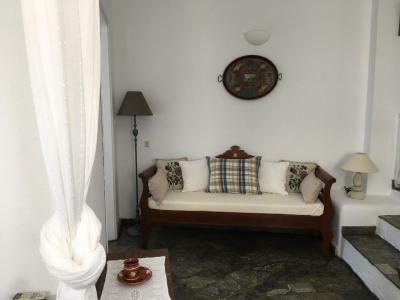 As a family run business, all staff members are very dedicated in serving and caring for all our guests needs, making sure that they spend their holidays at Langas Villas an unforgettable vacation. 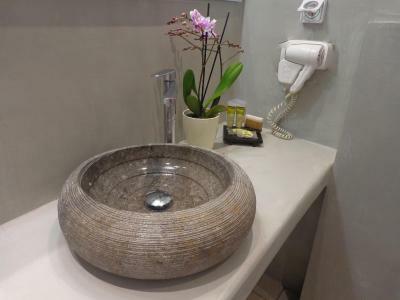 House Rules Langas Villas takes special requests – add in the next step! Langas Villas accepts these cards and reserves the right to temporarily hold an amount prior to arrival. Please note that any type of extra bed or crib is available upon request and needs to be confirmed by management. Please inform Langas Villas of your expected arrival time in advance. You can use the Special Requests box when booking, or contact the property directly using the contact details in your confirmation. The room was extremely cold. When asked for Fresh Towels, I was given the ones collected from my room that morning which was damn from not having dried properly. 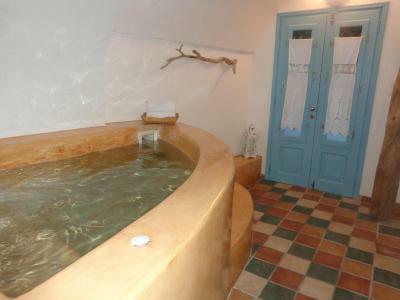 Swimming pool and Jucuzzi were out of service which was rather disappointing. Room was as clean as would have expected. The owner was really lovely and was engaging as a host. The location was perfect. 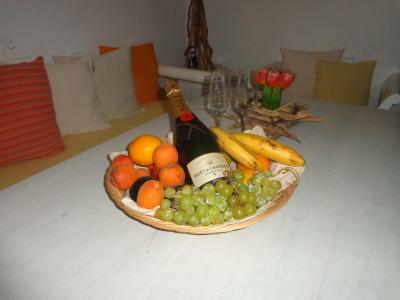 location was excellent, we really enjoyed our stay and the hospitality given to us! Great tips on what to do, Restaurants to go to. Would always recommend this. i paid 330 Euro for 2 nights in off season. i felt its too much for such a small property of 6 Rooms, with not even a Dining area. or most of the properties in that area are all similar. i may be wrong. but future visitors can make a informed decision. GReat people with great hospitality. Beautiful place overlooking the Calderon. Nick, Ann and Jason made us feel like at home. The villa was a bit on the tired side and could do with a bit of updating, although that could be reflected in the price. 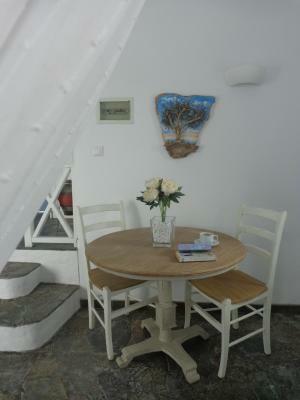 The perfect place to stay in Santorin ! 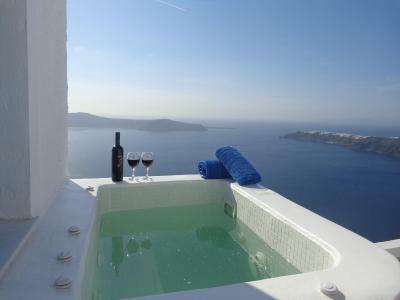 Breathtaking view, especially from a warm jacuzzi with a glass of wine kindly offer by the owner ! The service was absolutely perfect with very nice people ! Thank you very much we will come back for sure. Outstanding service from Nickolas, Jason and Anna. Cheerful and friendly hosts and always on hand. Breakfast was bespoke and served outside on patio at a time of our choosing. We we transported to and from the airport at very reasonable cost. 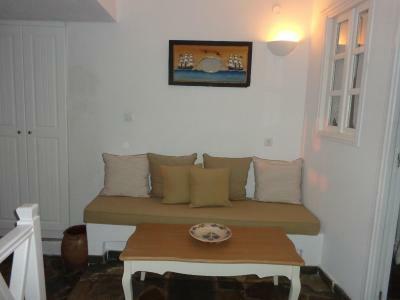 Apartment a bit tired but prop ably priced accordingly. Not enough stowage space for 3 persons for one week. The owners were incredible and so very helpful! A little noisy on the path way. Breakfast was good and roof top deck wonderful. The only thing that was uncomfortable was the sheet on the bed wasn’t fitted or large enough to be tucked in well so wasn’t comfortable. 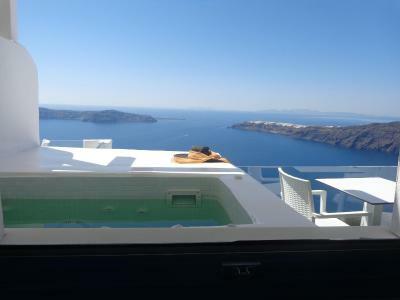 Location great, view amazing, the hot tub on the balcony was the best. Hosts were really friendly. Felt very private as it was the highest balcony in that area so no one could see in.